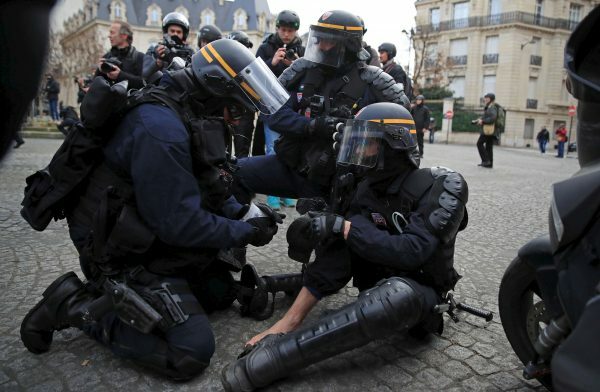 PARIS—Thousands of French “yellow vest” demonstrators marched Feb. 9 for their 13th weekend of action, which included scuffles in Paris and a demonstrator’s hand mangled by a small explosive. There was also an overnight arson attack on the Brittany residence of the National Assembly head—although no immediate link was made to the actions against President Emmanuel Macron. 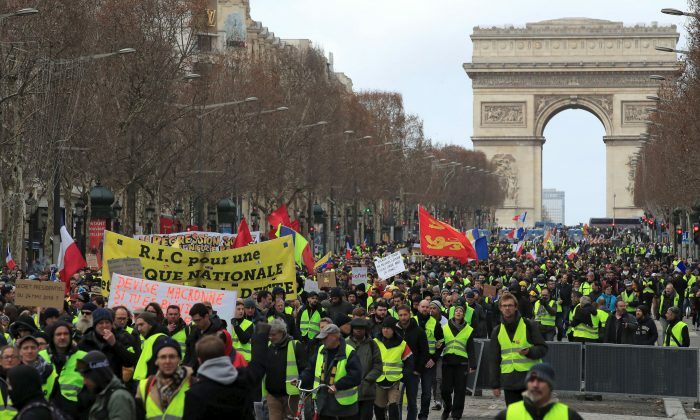 The “yellow vest” demonstrators, named for high-visibility car jackets, began in mid-November over fuel taxes then broadened into a more general revolt against a political class they view as out of touch with the common people. In Paris, several thousand marched Feb. 9 beside symbols of power such as the National Assembly and Senate. “Nothing justifies intimidations and violence toward an elected official of the Republic,” said Macron, in a tweet in relation to the incident. On Feb. 5, France passed an “anti-casseurs” (anti-hooligan) law banning protesters from hiding their faces, giving police greater powers to extract potential troublemakers from demonstrations, and granting local authorities the right to ban individual protesters.